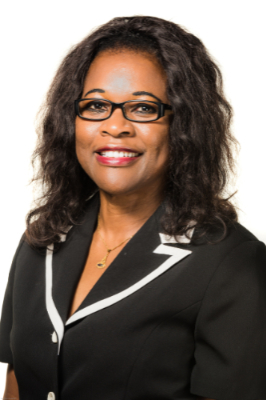 Dr. Nwando Nwanna is a Florida Registered Pharmacist. She graduated from University of Florida in 1998 with a Doctor of Pharmacy degree (Pharm D). Dr. Nwanna practiced as a Clinical Pharmacist in hospital settings for 10 years and then began to work as a retail Community Pharmacist. She decided to start a nutrition practice because of her own personal experience with health issues that were resolved with Nutrition Response Testing® and Designed Clinical Nutrition. She attended training workshops at The Ulan Nutrition Center to be certified as a Nutrition Response Testing practitioner. Dr. Nwanna became a pharmacist because she cares about people and their health. Over the years, she noticed that many of the drugs we offer for treatment of many chronic diseases only suppress symptoms and prevent further progression of the disease. Many of these drugs do not take care of the underlying cause of the disease. These diseases are considered chronic because people have to always be on these medicines to provide symptom relief and avert serious complications, but not the resolution of the disease process. The underlying dysfunction continues, and we keep increasing the dose or add on more drugs to keep symptoms in check and prevent complete organ failure as long as possible. Many of these drugs have side effects that have to be treated with more drugs and it just never ends. She was pleased to learn of a nutrition therapy system that seeks to find the underlying cause of malfunction in the body and provide nutritional support for the body as it heals itself. She was particularly impressed by the specificity of the nutritional remedies. She still practices pharmacy because she is aware that there are acute situations that require drug treatment to avert serious illness or organ failure and not all diseases are helped by nutrition support alone. Most patients, however, should begin a nutrition program that will support the body to heal itself as a long-term strategy and be in a position to wean off the drugs that are no longer needed in consult with their doctor. Nutritional remedies take longer for full effect but considering several years of improper diet and exposure to environmental toxins. However, it does not take too long. Effects can be seen in as little as one week to as long as six weeks. I became a pharmacist because I was fascinated with how drugs could be used to heal diseases. I have been a practicing pharmacist for more than 19 years now, both as a clinical pharmacist in the hospital and a community pharmacist in a retail setting. I have also had some health issues that have not been resolved by drugs or conventional medicine, which led me to begin to search for alternative therapies. I have had bowel problems for more than 10 years, as well as joint problems. I had tried all sorts of remedies without any cure. I would use anti-inflammatory drugs for my joint pain, but it bothered my stomach so I could only use it sparingly. I tried chiropractors including advanced orthogonal chiropractors. I found relief for my lower back pain but it never lasted for more than 3 weeks. In fact, most of the time I would have to go weekly to the chiropractor to get adjusted. Early in 2015, I started experiencing extreme fatigue. It did not matter whether I slept or not, I woke up unable to get out of bed and when I forced myself up, it was a drag to get through the day. I started some nutrition program with supplements that would help sometimes but never really resolved the issues. I knew that I was going through some pathology in my organ systems that no one had been able to identify. One day someone told me about Nutrition Response Testing®. I decided to give it a try and was amazed at how the practitioner was able to identify the areas of my body that were not functioning well. My thyroid gland was identified as the priority, even though I had bowel problems, adrenal problems, and joint problems. It made sense to me because several months back, I had actually asked my doctor to test me for thyroid but the test came back normal. I had read so many articles that suggested the standard test for thyroid function is not sensitive enough to identify thyroid dysfunction that was causing significant symptoms in people especially women. I was also told I was sensitive to most grains and sugar. Again, I had already suspected these problems and had taken steps to structure my diet accordingly, but despite my healthy diet, I could not solve any of these problems that had plagued me. I was put on a program that eliminated most grains and sugar. I was recommended whole food supplements that supported my thyroid and enzymes that not only help with digestion but helped me breakdown products that were in my system from previous diets that I could not break down. After a week on this program, I felt like a normal human being with normal energy. My bowel problems did not resolve that quickly, but I was convinced right away that this was a program that produced results and I wanted to be part of it. I began to attend classes and training workshops to help me understand more of this system and ultimately, to become a practitioner myself to help others. I have been on the program in since April 2015 and most of my health issues are now being resolved. I no longer have back pain, I am no longer fatigued for no reason, and my bowels are functioning once again. The problem I have with my knees is a lot better than it was, especially when I added acupuncture to my treatment. I am confident that with time, that will be completely resolved also. It does take time for the body to rebuild itself and I will continue to the program to resolve all my health issues and to maintain my health. Fortunately for me, I came across an ad for WIZE NUTRITION RESPONSE TESTING and met with Nwando. LIFE CHANGING !!!!! Three months after a weekly customized Standard Process regime I was off all products including Synthroid and thyrotropin for my thyroid.